From Good Smile Company. The world's most powerful genie is joining the Nendoroids! 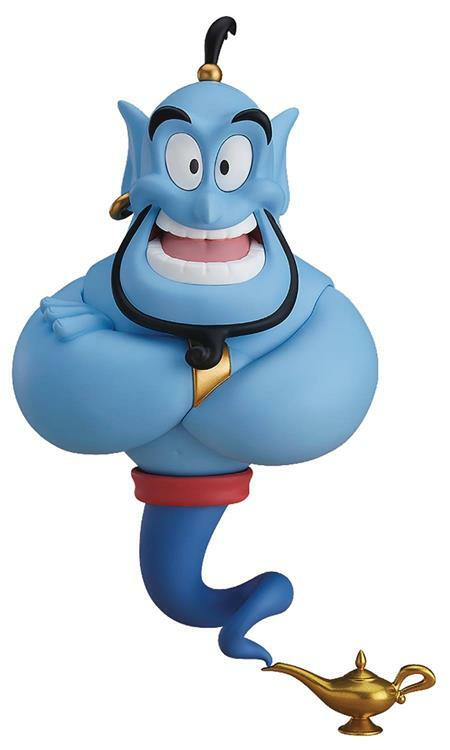 From Disney's Aladdin comes a Nendoroid of Genie! His unique appearance has been captured and brought down to Nendoroid size! He comes with a magic lamp and hat as optional parts, along with interchangeable eyes and an interchangeable lower half part, allowing you to easily recreate poses from the movie.